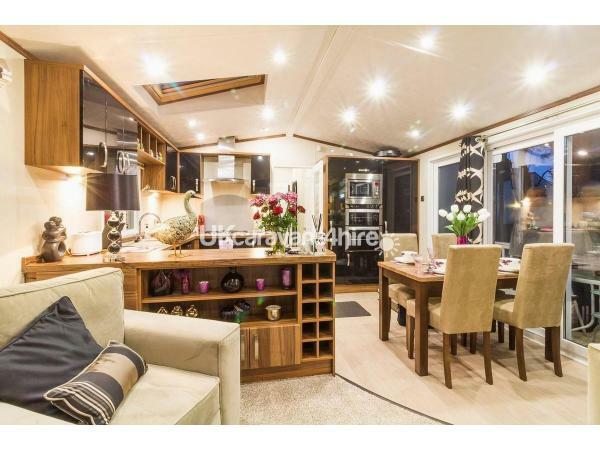 Stunning lodge with double glazing and central heating on a lake view pitch. Diamond-plus rated. 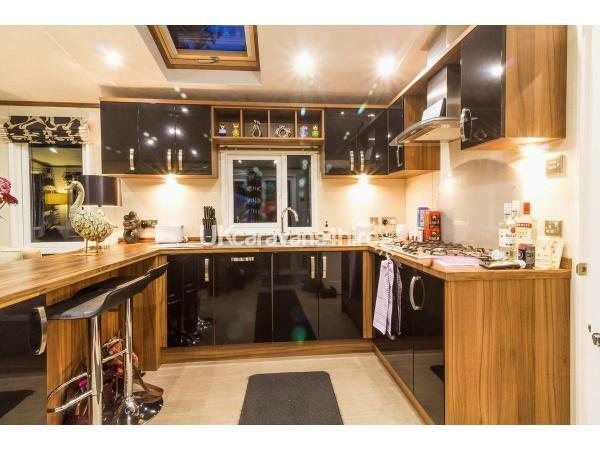 Entry from decking area into open plan kitchen with shiny black modern fitted kitchen with integrated cooker and microwave, dishwasher, hob with extractor fan, breakfast bar, dining area and velux window. 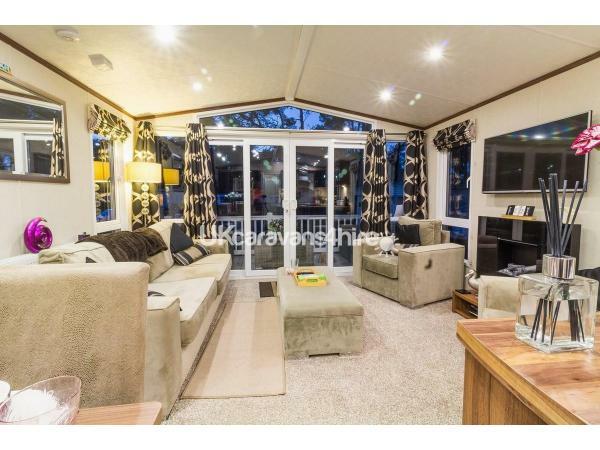 Spacious lounge area with free standing furniture, wall mounted large TV with freeview and DVD player, electric fire, double sofa bed and french doors opening out to front decking with wicker seating looking out to the lake. 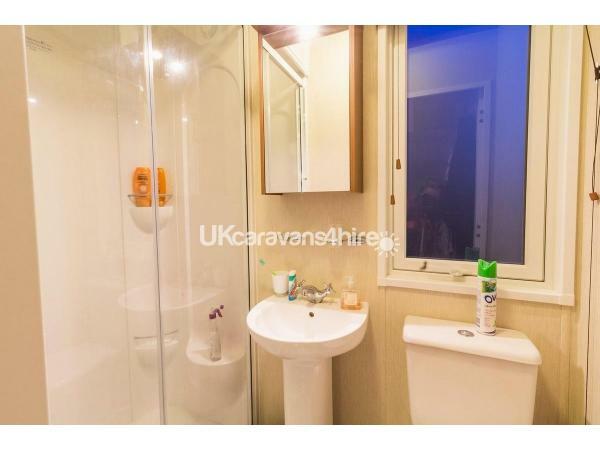 Family bathroom with full sized bath, with shower over, vanity wash basin and toilet. 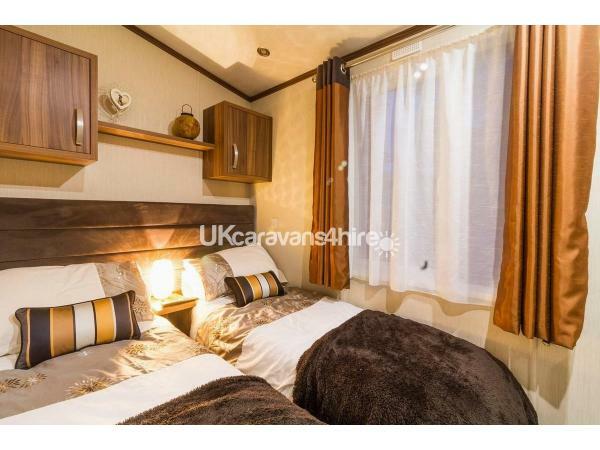 Bedroom 1 - Twin with single beds, wall mounted TV with built in DVD player, dressing table with stool and storage. 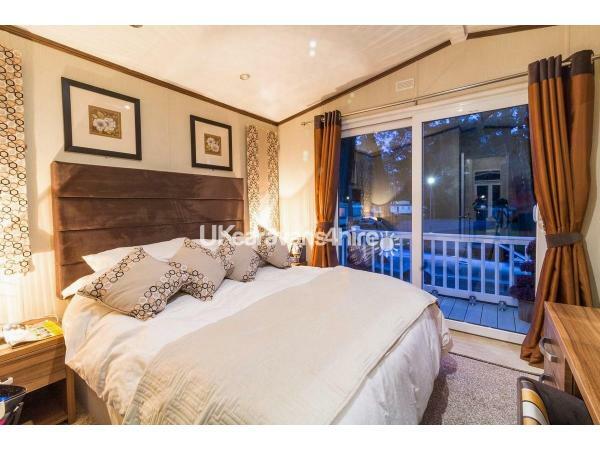 Bedroom 2 - Master with king sized bed, dressing table and stool, clothes storage, en-suite shower room with toilet and wash basin and patio doors leading onto the balcony. Outside there is decking to the side, the front and the back. 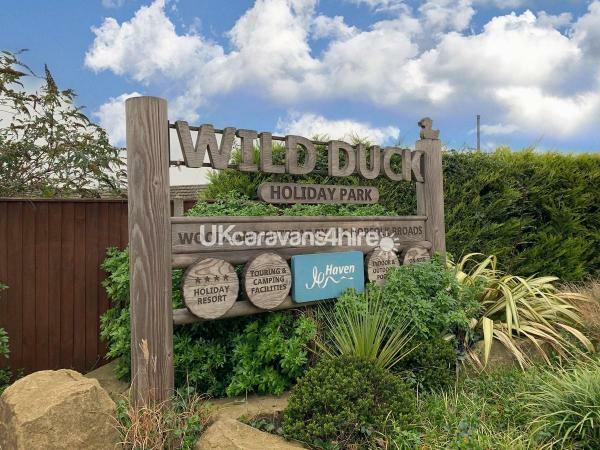 Additional Info: Out in the woods, in between the Norfolk Broads and a country village is where you’ll find Wild Duck Holiday Park. 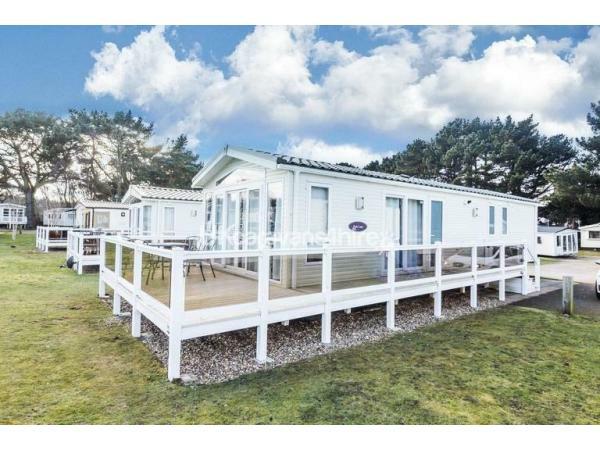 The secluded woodland setting marks it apart from other holiday parks in the region and it’s still less than 5 miles from the sea. 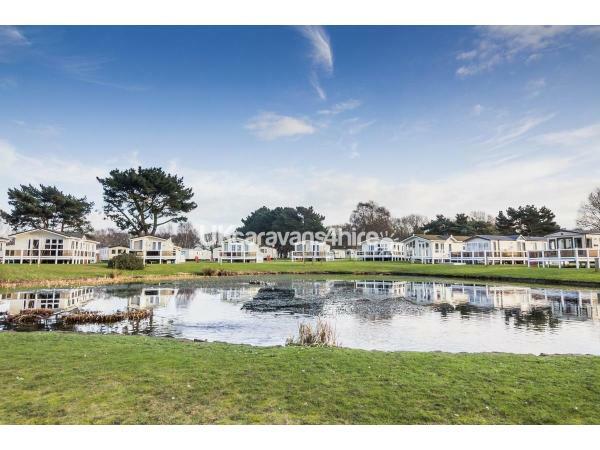 As soon as you drive in you’re amongst the trees, with open grassy areas opening up on the left, splashy fountains and lakes directly ahead and the entertainment piazza further off to the right. The piazza itself is a relatively new development with a footbridge over the stream leading into an open space at the centre of the pool, shop, restaurants and ShowBar. At the far end, a pedestrian (and duck) crossing takes you over the road to the multi-sports court, play ground and sports range, which serves as both the park’s archery range and fencing hall. 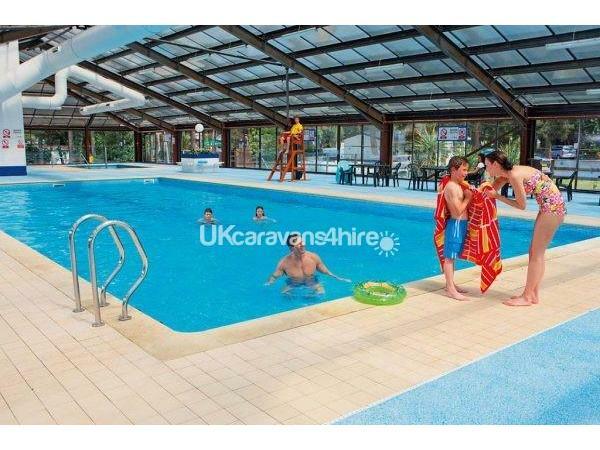 The park is situated right by the edge of the Norfolk Broads, a protected National Park. The waterways here are best explored from the water and there’s no shortage of river cruises and boat hires that’ll let you discover it all, a little bit more each time you come to stay. 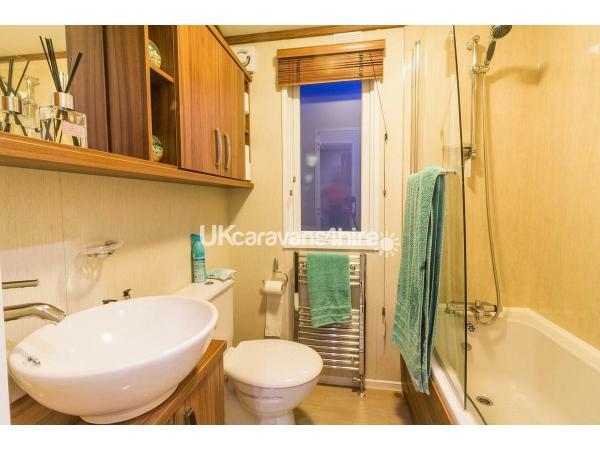 The nearest beach is at Gorleston-on-Sea just under 5 miles away, but if you go a little further north you can just as easily reach the seafront at Great Yarmouth. Not only does this town have its own permanent-built circus arena (the only one left in the UK) but you can also visit the Sea Life Centre, the local horse racing course, the golf course and ride all the rides and roller-coasters at the pleasure beach.